Magnetite (MAG) is used for “Demon Fusion”, a forbidden practice that lets you combine two or more demons to create powerful ones. To fuse demons, tap hideout > church of false gods. Under normal, you can combine two characters to create a new one. 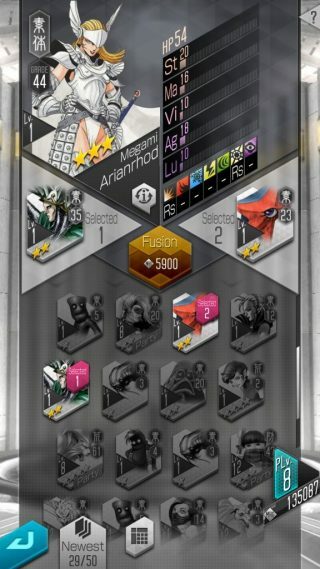 Under multi-fusion, you will be able to combine multiple demons to create a powerful character. 1. The Aura Gate is the best place to farm magnetite. You can unlock it after clearing chapter 2-1. Go to “Map” and then tap the gate to enter. It has several floors. Just enter a floor, fight enemies and a boss demon and receive magnetite as rewards for beating them. Defeat the boss to clear a floor and a portal will let you enter the next floor. You can also play a previously explored floor to discover more enemies and fight them to get MAG. A. When you are at the gate fighting enemies, your party members’ HP do not automatically heal after a battle, so make sure you have a demon that possesses a healing skill. B. You can use the auto-navigate button to explore a floor and find the boss demon quickly. D. You will receive 5000 and more MAG, starting from floor 40. Make sure you recruit rare demons once you enter floor 20, because bosses will be very tough to beat. You should also have demons that possess high AG stats to get battle speed advantage, which means your party will attack first. E. Keep an eye on moon phase effects while exploring the aura gate floors. Once activated, they will increase the amount of obtained MAG by a certain percentage. Tap the icon on the upper left corner of the screen to know more about such effects. F. While exploring, you can find various item drops, including MAG, so make sure you explore the entire map. If you are lucky, you will stumble upon a “MAG Chest”. It’s like a lottery where all players can participate. 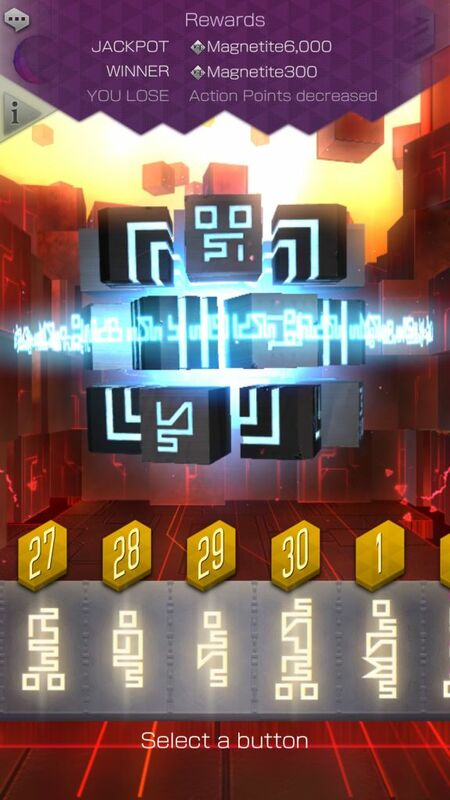 This weird cube-shaped chest contains lots of magnetite and if you pick the right number, you will hit the jackpot and win lots of magnetite. However, if you select a number and if it’s a miss, then you will lose action points (AP), which are used to explore the gate. 2. Finish orders to get MAG. You may get lots of magnetite when you complete a set of missions. For example, if you complete a set of fusion training orders, you will receive 5000 MAG. 3. Complete reward events, such as the “Freak Storm” event to get MAG and other prizes. The freak storm event lets you collect frogs by completing certain missions. You can then exchange frogs for magnetite at the “frog exchange” section. You will get 5000 MAG if you have collected 100 frogs, 10000 MAG for 300 frogs and so on. Such events are available for a limited period of time, so make sure you take full advantage of them when they are accessible. There’s also a 1 Million Downloads event that offered a chance for players to receive lots of MAG depending on the number of likes on the official DX2 page. You can get info about new events by tapping “News” on the lower left corner of your home screen. 4. Time after time, MAG-exclusive events will be activated. Make the most of such events and complete as many story mode missions and aura gate floors when such an event is active to get bonus magnetite. Look for such events on your home screen. 5. 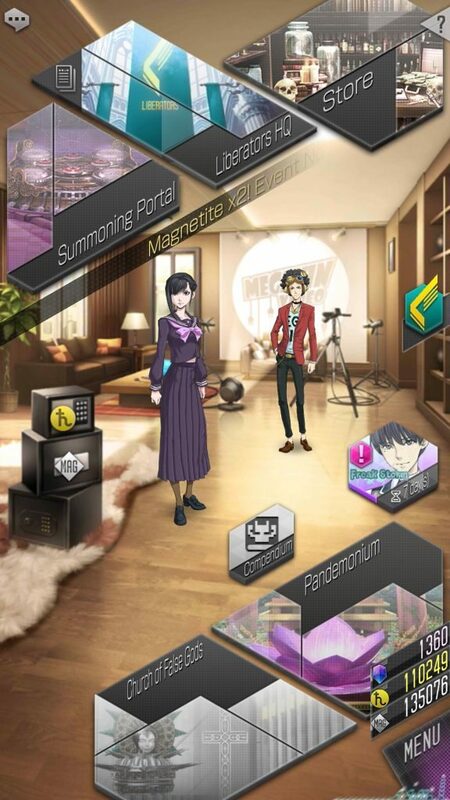 If you have pre-registered for Shin Megami Tensei DX2, then you will get pre-registration rewards include magnetite. You may also receive milestone rewards from the game developer. Check the rewards section on your gift box to know what prizes you have received. 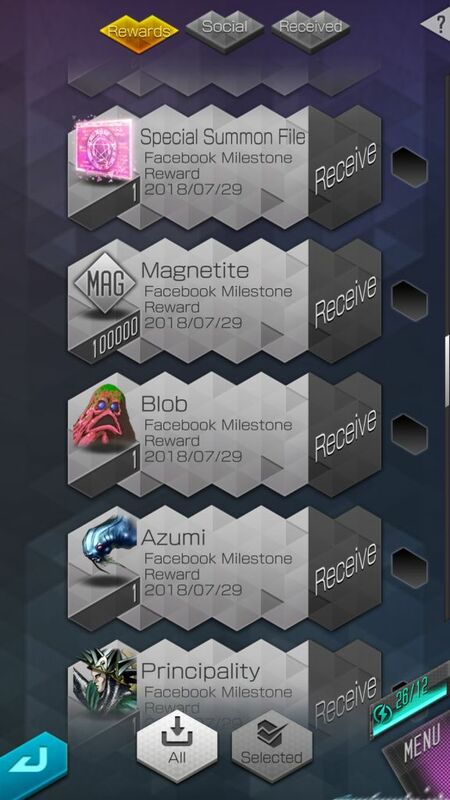 As part of the “Facebook Milestone reward”, I received 100000 MAG. 6. Login daily to get bonuses such as gems, macca and MAG. You will receive 3000 MAG on day 10, 5000 MAG on day 25 and 50000 magnetite on Day 28. 7. Bonus magnetite accumulates in your safe at your “hideout” in regular intervals. You may read the “Liberator’s Log” to know how many MAG (including the bonus) you have accumulated. Don’t forget to tap the safe to collect them all.